In 1920 Harold Ross, who worked for American Legion Weekly , married Jane Grant of the New York Times. Over the next few years they developed ideas about publishing their own magazine. In her book, Ross, The New Yorker and Me (1968) Grant argued: "Ross had great humility then. He assured me he'd try anything I decided upon, that he wanted to be anything I wanted him to be. I’m afraid I did a good deal of prodding. But I felt he really could accomplish what he set out to do - with his talent and his enormous drive - even though many people doubted his ability. He would have given up, I am sure, if I hadn’t encouraged him; fortunately I was able to influence him." 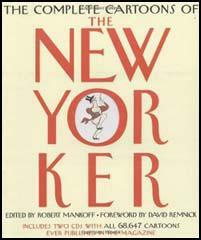 Harold Ross argued in the magazine: "The New Yorker will be a reflection in word and picture of metropolitan life. It will be human. Its general tenor will be one of gaiety, wit and satire, but it will be more than a jester. It will not be what is commonly called sophisticated, in that it will assume a reasonable degree of enlightenment on the part of its readers. It will hate bunk." Initially the magazine concentrated on the social and cultural life of New York City but eventually widened its scope and developed a reputation for publishing some of the best short-stories, cartoons, biographical profiles, foreign reports and arts reviews. Its contributors included Dorothy Parker (poems and short-stories), Robert Benchley (theatre critic), James Thurber (cartoons and short-stories), Frank Sullivan, Elwyn Brooks White, John McNulty, Joseph Mitchell, Katharine S. White (also fiction editor), Sidney J. Perelman, Alan Campbell, Janet Flanner (correspondent based in Paris), Wolcott Gibbs (theatre critic), St. Clair McKelway and John O'Hara (over 200 of his short-stories appeared in the magazine). In 1929 one of the most famous journalists in America, Alexander Woollcott, left the New York Times to join the New Yorker. Carr Van Anda, the managing director of the Times, was disappointed by this decision: "In spite of the brusqueness and other peculiarities of conduct developed with his rise in the world which amused or annoyed his friends, according to mood, he was by nature really a sensitive, sometimes almost a shrinking soul. What began as a defence mechanism led to the invention of the almost wholly artificial character, Alexander Woollcott, persistently enacted before the world until it became a profitable investment.... It is a matter of extreme regret to me, as an old friend, that his sacrifice of brilliant gifts and varied acquirements to the dramatization of himself as a personality has left him with a far less secure literary fame than he might well have achieved." On 1st October, 1927, Dorothy Parker took over the "Recent Books" column in The New Yorker, under the pseudonym "Constant Reader". John C. Farrar, argued that Parker wrote "poetry like an angel" but "criticism like a fiend". One of those who suffered from the comments of Parker was Margot Asquith, the author of Lay Sermons (1927). Parker commented that "Margot Asquith's latest book, has all the depth and glitter of a worn dime." She added that "the affair between Margot Asquith and Margot Asquith will live as one of the prettiest love stories in all literature". Parker was not always negative and praised the work of Sinclair Lewis, Ernest Hemingway, James Baldwin, Scott Fitzgerald and Edwin Albee. Her biographer, John Keats, the author of You Might as Well Live: The Life and Times of Dorothy Parker (1971) has argued: "Her taste was most uneven, but her writing was consistent. It was consistently awkward whenever she sought to praise a book, and consistently vivid and crisp when she did not, as was more often the case." Harold Ross remained the controlling influence over the magazine until his death in 1951. William Shawn became editor-in-chief and held the post until 1987, when he was succeeded by Robert Gottlieb (1987-1992) and Tina Brown (1992-1998). The couple agreed that they would attempt to live on her earnings, and save his salary of $10,000 for a magazine of his own invention. Grant said she persuaded Ross to put his ideas on paper. He reportedly had three in mind: a high-class tabloid, a shipping magazine and a weekly about life in Manhattan. Ross and Grant were opposites in the truest sense of the word. For instance, Ross was tone deaf and could not abide her dancing, singing or whistling around him. But as is often true in the case of opposites, it took that combination to make the magazine reach fruition. Grant had a good business sense. Ross had a unique sense of humor, the kind of humor that would come to characterize The New Yorker. Grant encouraged him to go with the third idea. She intuitively knew that it would best suit him, as well be a success in the marketplace. It apparently took them five years to raise the capital for the venture. Ross had great humility then. He assured me he'd try anything I decided upon, that he wanted to be anything I wanted him to be. I’m afraid I did a good deal of prodding. But I felt he really could accomplish what he set out to do - with his talent and his enormous drive - even though many people doubted his ability. He would have given up, I am sure, if I hadn’t encouraged him; fortunately I was able to influence him. Things were going badly when the Round Tablers and their friends gathered to attend Frank Adams's wedding to Esther Root on May 9. The ceremony was performed at the home of friends who lived near Greenwich, Connecticut. A number of the wedding guests arrived in extremely low spirits, because it looked as if The New Yorker would fold. Five months after its birth, the magazine's original capital was depleted and it seemed unlikely to survive the summer season, customarily a slow period even for prosperous publications. Raoul Fleischmann had been advised that the wisest course would be to suspend publication until the fall, but Harold Ross and Jane Grant were convinced that this would mean ruin for the magazine. They had begun to seek capital elsewhere. In the midst of Adams's nuptial festivities, Fleischmann arrived with a miraculous last minute reprieve and announced that he had persuaded his mother to invest $100,000, enough to assure the summer issues at least.